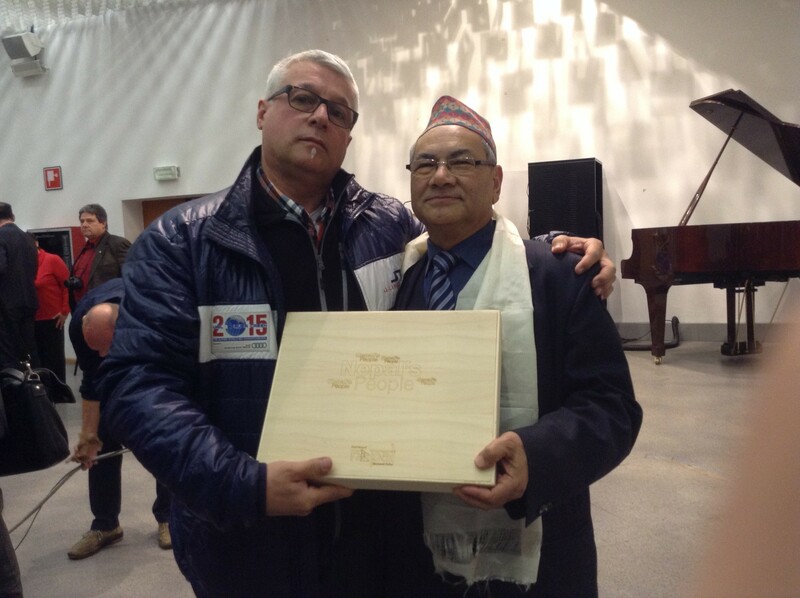 Ieri sera durante la Giornata della Cultura Slovena in Valcanale – Dan slovenske kulture v Kanalski dolini ho avuto il piacere di incontrare il Console onorario del Nepal in Slovenia Mr. Aswin Kumar SHRESTHA, Msc. MBA. Saremo presenti a Lubiana il prossimo 25 aprile, primo anniversario del terremoto per piantare un albero a ricordo delle vittime. La cultura abbatte i muri…noi li ricostruiamo…ma quelli delle scuole. It was my great pleasure to meet you during the ceremony of the great National Poet of Slovenia Franc Prešeren at Cultural Center Planika. Please accept my sincere congratulations and thanks for your great contribution in building so many schools, support to Orphan house etc. The photo Book of the Nepali people is great. You have introduced the images of so many ethnic groups with their fantastic photos. Congratulations ! I have not been able to see the video so far, because of some technical problem. But I am very keen to see that and come back to you with my response once I will be able to see that. Please accept my sincere thanks for your kind presentation and look forward to see you soon in Ljubljana. As I mentioned to you I am invited by the Former Mayor of Ljubljana to plant a tree in the memory of the help of Slovenia to Nepal for devastating earthquake in Nepal on 25th April 2016 at 13 P.M. Thus I would be pleased, if you will kindly participate that event. I will send you the invitation for that.